If you find yourself confused regarding the latest rules and types of visit visas in Dubai then read on to find out more.. Visas for a period of 30 days are called short visas. Those spanning three months (90 days) are called long visas. Short visas and 90-day visas are non-renewable. Tourist Visa, issued for a period of 30 days, is renewable once. Special visas for companions from GCC countries are issued for 60 days, and can be renewed twice. Similarly, visas for residents of GCC countries valid for a period of 30 days are renewable. Long Courtesy Visa spanning 90 days and a Short Courtesy Visa for 30 days are both non-renewable. Exhibition Visa, Festival Visa and Conference Visa are all valid for 30 days. All these visas are non-renewable. I want to know about short time Dubai visa.how I will get it.i will be there on 26 april 2014.i have a 8 hours transit there so I want to go outside from airport then shopping some goods then I will be back with in my flight time prior 2 hour. 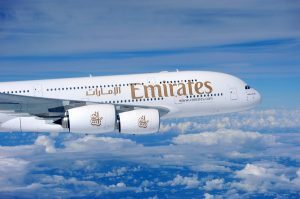 My nephew wants to visit me at Dubai, I have already booked his tickets with Emirates. he is coming from mumbai, but he is 16years and 10months now.. is it possible that i can get visit visa for him.? if yes please suggest how..?